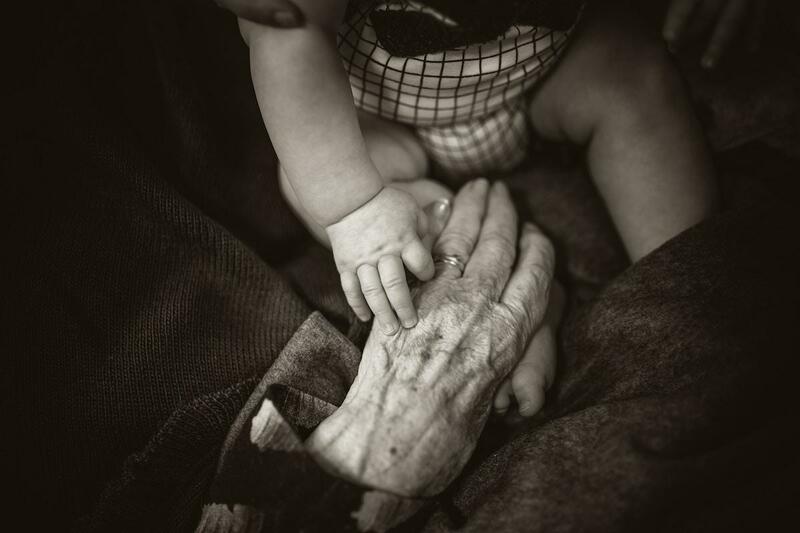 This post is adapted from the blog of FamilyAssets, a Priceonomics Data Studio customer. Does your company have interesting data? Become a Priceonomics customer. 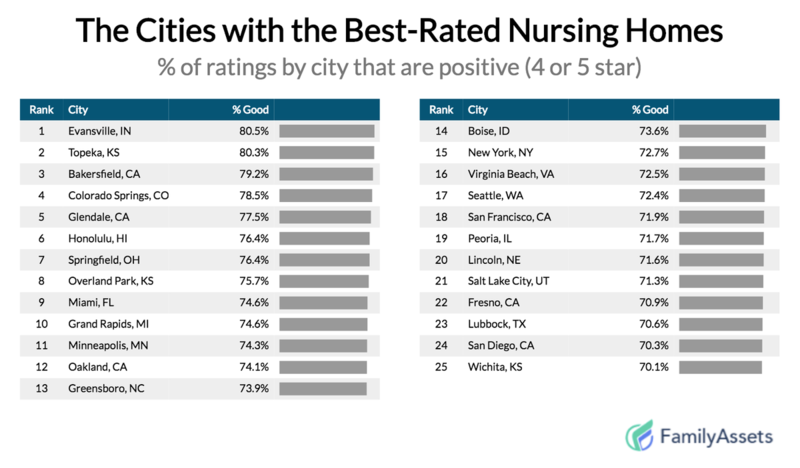 We analyzed data from Priceonomics customer, FamilyAssets, a company that helps people across the country find senior care living facilities from nursing homes, to assisted living, to in-home care providers. 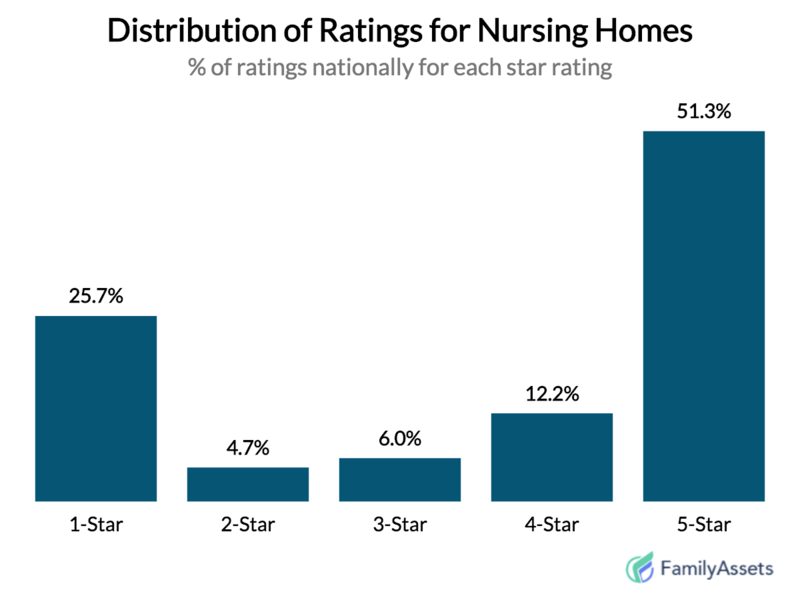 FamilyAssets has assembled hundreds of thousands of reviews specifically on nursing homes across the country that we were able to analyze. 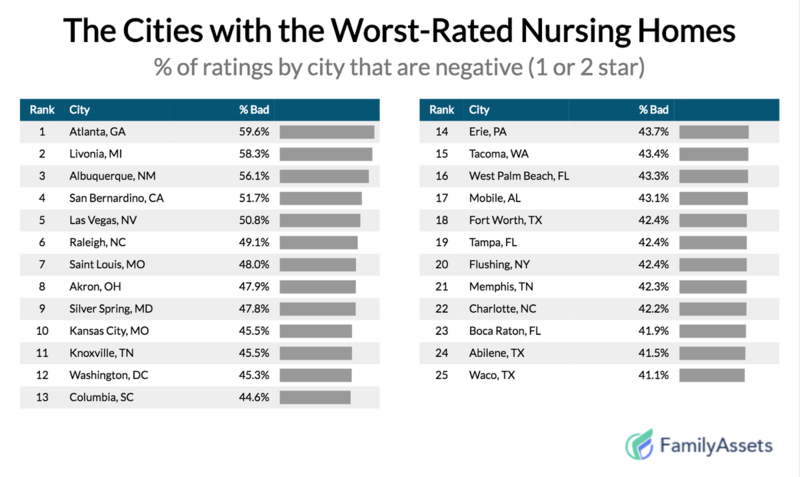 Horrible reviews for assisted living facilities are much more rare than for nursing homes. 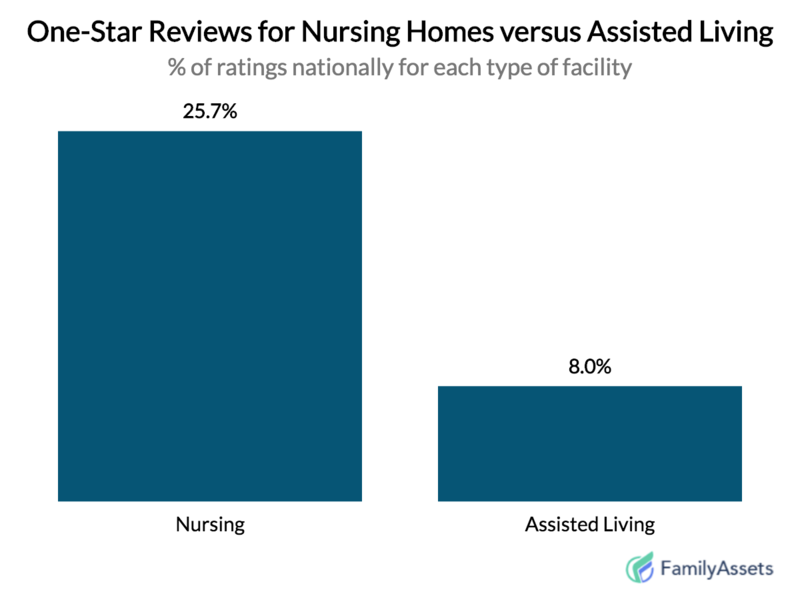 Just 8% of assisted living reviews are one star. 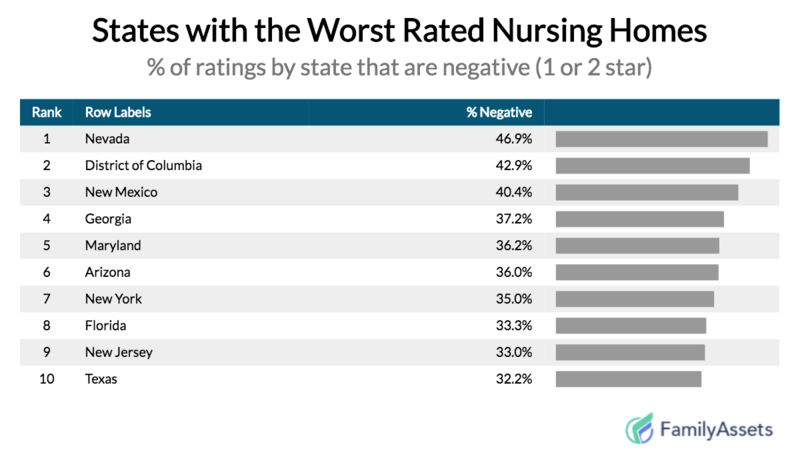 The negative reviews happen at a three times higher rate for nursing homes compared to assisted living facilities. 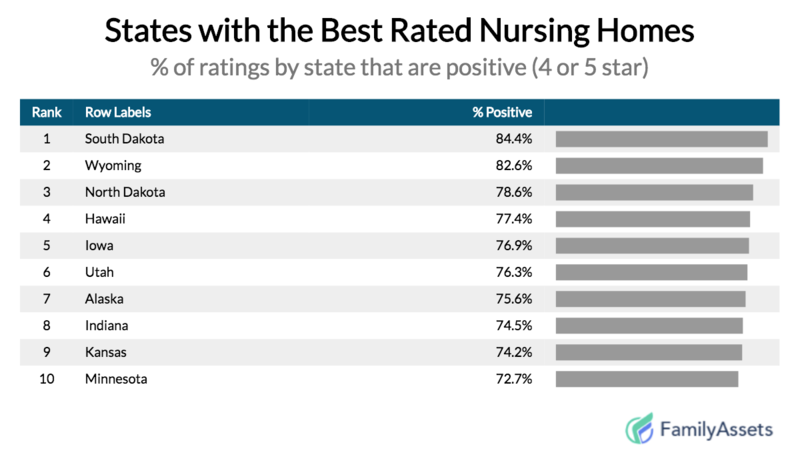 Notably, while most people in assisted living use private funds to pay, 62% percent of nursing home residents have their bill paid by Medicare. From this data, it appears that when the government is paying, a lower quality service is provided.